Ilene Sova is the Ada Slaight Chair of Contemporary Painting and Drawing at OCAD University. Ilene’s painting practice focuses on social change with a feminist focus on creating a dialogue around anti-oppression. She is also heavily involved in the areas of arts advocacy, community activation, and promoting pluralism in the arts. In particular, Ilene has worked with both Harbourfront Centre and the Art Gallery of Ontario to do training in diversity and equity practices. This work was incorporated into the development, implementation, and delivery of arts curricula. Due to this work, recently, Ilene was invited to sit on the board of Cultural Pluralism in the Arts Movement Ontario. Additionally, Ilene’s professional experiences include seeking areas of strategic external partnerships and organizational leadership. Alongside this work, her active participation in the Toronto art community contributes deeply to her teaching practice, as well as her abilities to communicate best practices in the areas of art and social change to students and colleagues. Sova is the founder of the Feminist Art Conference and Blank Canvases, an in-school creative arts programme for elementary school students.In the studio and traditional classroom environment, Ilene has consistently used alternative learning modes to develop a pluralistic, anticolonial, student-centred, process-based instruction, focused on encouragement, community building, and constructive feedback. 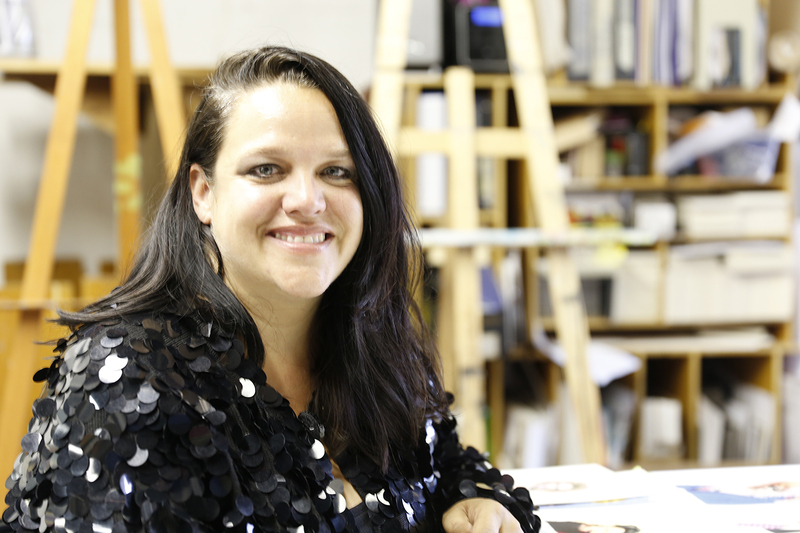 She holds an honours BFA from the University of Ottawa in Painting and an MFA in Painting and Drawing from the University of Windsor. With extensive solo and group exhibitions in Canada and abroad, Sova’s work has most notably been shown at Museum of Canadian Contemporary Art, the Department of Canadian Heritage, and Mutuo Centro de Arte in Barcelona. Her exhibit, Missing Women Project, garnered much attention around issues of violence against women in our local communities. Sova’s work has been featured on television, the internet, and in print media with features in Metro, Toronto Star, CBC Radio, CTV Canada AM and The Toronto Standard. Sova was invited by two Members of Parliament to bring her work to Ottawa for a national Women’s Forum on Feminism and the state of women’s rights. Sova’s work was featured in the Journal of Psychology and Counselling, the Nigerian Arts Journal, Tabula and the Italian feminist journal, Woman’O’Clock. A passionate public speaker, Sova was chosen to speak at the first TEDxWomen event in Toronto, where she presented a critical analysis of the Missing Women Project and Southern University New York where she gave an all University Lecture on Art and Social Change. Most recently, Sova has been invited to deliver the Arthur C. Danto Memorial Keynote Lecture at the 76th Annual Meeting of the American Society for Aesthetics (ASA) in October 2018.